Click on the Login button on the top right corner of the atvans.org website. Once you have logged onto the website click on View profile under your name on the top left corner of the website. On your profile page you will see your membership card. There are 2 ways to get/use your card. 1) Clicking on Image optimized for smartphones will display an image of your card that is optimized for smartphones. You can save this image to your photos on your smartphone. 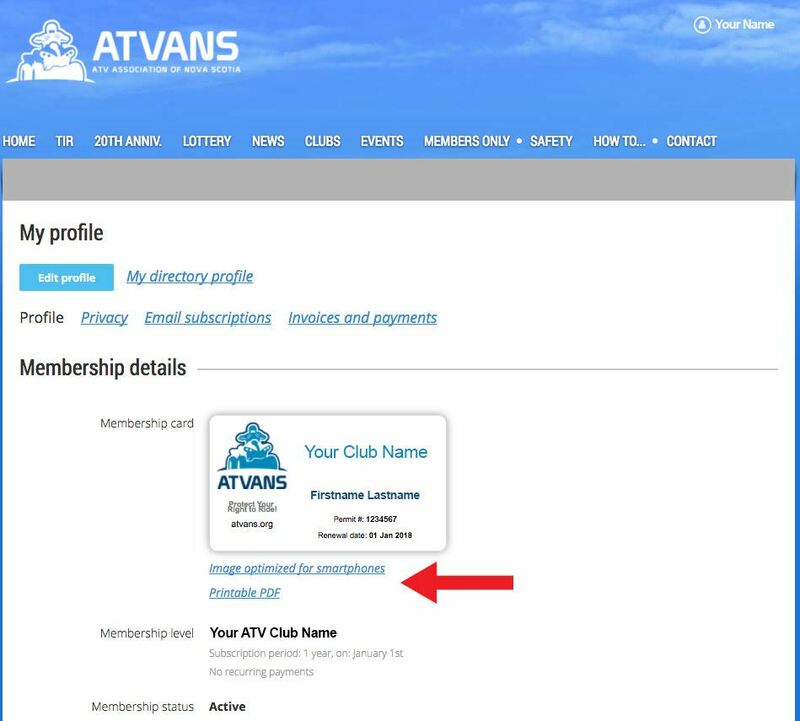 2) Clicking on Printable PDF will save a PDF version of your ATVANS membership card to your hard drive on your computer. You can then open this PDF and print it so that you can carry it with you.